Sixty percent of humanity?some 4.3 billion people?live in debilitating poverty. The standard development narrative suggests that alleviating poverty in poor countries is a matter of getting the internal policies right, combined with aid from rich countries. But anthropologist Jason Hickel argues that this approach misses the broader political forces at play. Global poverty?and the growing divide between "developing" and "developed" countries?has to do with how the global economy has been designed over the course of five hundred years through conquest, colonialism, regime change, debt, and trade deals. Global inequality doesn't just exist; it has been created. 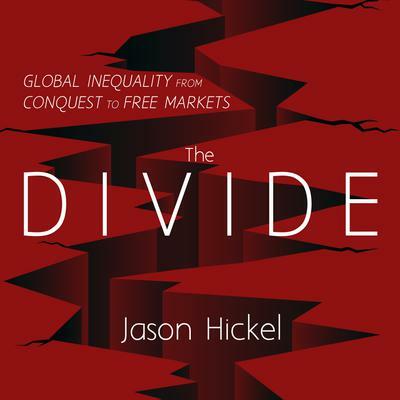 To close the divide, Dr. Hickel proposes dramatic action rooted in real justice: we must abolish debt burdens in the developing world; democratize the IMF, World Bank, and WTO; and institute a global minimum wage, among many other vital steps. Only then will we have a chance at a world built on equal footing.